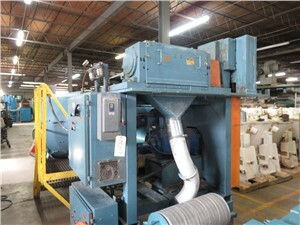 Choosing the right type of plastic pelletizer can make a significant difference in your facility output, production quality, and overall profitability. At Arlington Machinery, we maintain one of the best stocks of new and used plastic compounding machines and pelletizers in the world, and we’d love to help you select a dependable yet cost-effective design for your manufacturing needs. Our vast inventory includes compounding extruder technology for a wide variety of polymer inputs, pellet sizes, and environmental conditions. 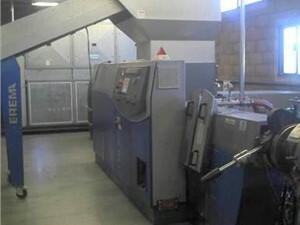 A strand pelletizing line starts with the extruder that pushes heated polymer through a die to produce thin, spaghetti-like strands. Each plastic strand is then cooled in water, dried by an air knife, and pelletized through speed-controlled pull rolls and a rotor blade. 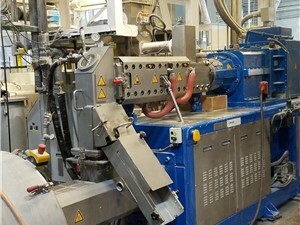 A basic strand pelletizing system is great for high-production processes with relatively few operational changes; however, these machines also can be built with specialized configurations to better suit specific manufacturing processes or production needs. 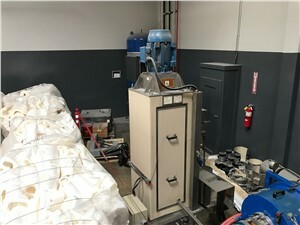 In an underwater pelletizer system, compounded polymers are pushed through a die and cut into pellets while submerged underwater, after which they’re sent to a centrifugal dryer. Although an underwater pelletizer typically costs more than conventional pelletizers, these systems tend to provide greater levels of automation and pellet uniformity. They’re also capable of producing fine micropellets with a high level of precision even from dry, brittle, or otherwise challenging compounds. 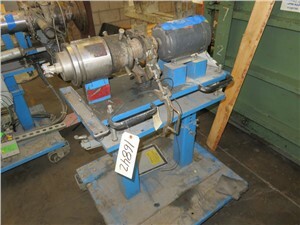 At Arlington Machinery, we have more than 30 years of experience in the sale, purchase, and refurbishment of plastics compounding equipment. Our staff is comprised of true product specialists who would be happy to help you select the right plastic pelletizing machine from top manufacturers like Cumberland, Gala, Erema, and Conair. We also have in-house machining capabilities and can customize any strand or underwater pelletizer to suit your operations! 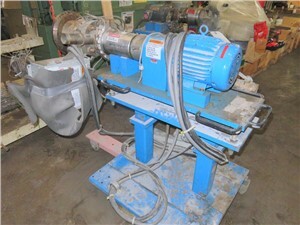 Need help weighing the pros and cons of various compounding machines? Then don’t hesitate to reach out to Arlington Machinery today. Our used pelletizers come in varying rotor sizes, dimensions, feed rates, and types of drives, and they’re utilized every day in applications ranging from industrial recycling to automotive, food, and medical. 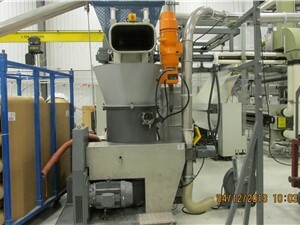 Call us to discuss your pelletizing requirements with a plastics expert or add your preferred plastic pelletizer to your online cart to receive a free quote within 24 hours.